With any kind of stain, its always best to remember BLOT don’t RUB. The quicker you can get to the stain the greater chance of removal. 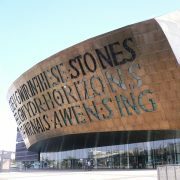 First port of call should be to contact professionals carpet cleaners. When this is not possible the following guide should cover you in every eventuality (with household ingredients you should have in the home). Always do a test patch, different fibres i.e wool are much more delicate, and should be treated with extra care accordingly. A wine spill on the carpet may seem like the worst stain you could get. It’s just as common as coffee spills and stains. 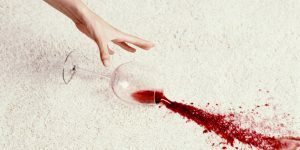 We all know how difficult it can be to get wine out of carpets, but there are actually a few ways you can removes such a stain. This can be done with items you probably already have lying around the house. If the spill is fresh, you can get up most of it just by using paper towels or some other dry cloth to soak up the majority of the wine. Once you have dried up what you can, you should pour table salt over the spill. Be generous with the salt and let it set for an hour or so. The salt draws the liquid in, absorbing most of what is in your carpet. It won’t work very well on dry stains, so if the spill is too dry, you can add some water to make it easier for the salt to do its work. Once the salt has set for a while, you can vacuum or sweep it up. You can also use a combination of dish soap and hydrogen peroxide to get up a wine stain. Just be careful only to use this on lighter-coloured carpets. Hydrogen peroxide can slightly bleach fabrics, so you would not want to use it on any dark fabric. Mix a cup of hydrogen peroxide with a generous squirt of dish soap. This will be enough for most stains, but very large stains will need more of the same ingredients. Then put some of the solution onto a rag or cloth. Blot at the stain, never rubbing. Rubbing can push the wine deeper into the carpet and actually make it harder to get out. Spread your solution across the entire stain and let it set for a few minutes. After the solution has set, you will need to spray it all sown with cold, soapy water, then wipe it up with a cloth dipped in warm water. It’s a lot of steps to go through, but it will be worth it to have a stain-free carpet once more. If you are worried about your cleaning solution bleaching your carpet; you can always first try a little bit on a portion of the carpet that no one will see. If you spill paint on your carpet, you might think that you will be left with a permanent discolouration problem. But there is a way, using common items found in most household, that you can completely remove most types of paint from most kinds of carpet. Start by cleaning up whatever you can with paper towels or some other disposable cloth material. You can usually get up the bulk of the paint like this. Step 1) Blotting will take care of most of a still wet, water-based paint. If it has dried though, then you will need to use hot water and dish detergent. Mix them together and let them set on the spill for a few minutes. Step 2) This softens the paint and makes it easier to get out. Once it has softened enough, you can use a knife or similar tool to scrape the paint off. Step 3) This method may not make the paint soften enough for you to scrape it off completely. If that is the case, then use a hand-held steamer to work on the paint as you scrape at it. Step 1) Once again, blotting works well to get rid of most of the stain. If you rub at it hard though, you can push the stain deeper into the carpet, so try to avoid that. Step 2) Make a solution of mild dish detergent and slightly warm water. You should be using one cup of water to one tablespoon of detergent. Step 3) Start from the outside of the spill and work your way inward. Blot slowly and carefully, only working on small sections at a time. Step 4) After the entire spill has been blotted, you should let it dry. Once that has happened, you can vacuum up the remainder of the paint. There are some relatively easy ways to we will cover a couple of the best ones right here. When you combine hydrogen peroxide and baking soda, you get a great combination that breaks up the crystals contained in pet urine and make it easier to just sweep the mess up. 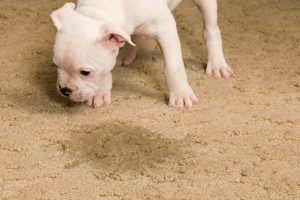 If you are dealing with a small stain- and most pet urine stains are- then you will need to use about half a cup of hydrogen peroxide and a cup of baking soda. Start by pouring the baking soda on the stain, making sure to cover all of it. Let that set for just a moment, then add in a mixture of the hydrogen peroxide and just a dash of dish soap. You can then scrub the mixture together into the carpet. Try to rub it hard enough to penetrate the stain but not so hard as to get down deep in the carpet. Let all of that sit for about 15 minutes or so. Once it has set, you can vacuum it up. If the stain is particularly bad, you may need to repeat the steps until it is gone completely.If and odour remains, seek a pet stain and odor removal specialist. Baking soda once again pops up as an ideal way to get rid of pet stains. Here you will be using it with vinegar. This solution is particularly good for stains that have been around a little longer that you might have missed when they first happened. Take two cups of vinegar and mix it with two cups of mildly warm water. Add in four heaped tablespoons of baking soda to your mixture and combine it all into a spray bottle. Then just spray your solution over the entirety of the stain. You can let that sit for 15 minutes or so before wiping it up. Chewing gum is one of the most onerous substances to try to get out of carpet. It can be nearly impossible to removing conventional carpet cleaning methods, so you will have to try a different approach if you want it completely out of your carpet.Its an extremely stubborn stain to remove. Here are a few methods that make use of common household items to make quick work of that chewing gum. Step 1) The goal is to get the gum heated in order to make it pliable. So you will need a hair dryer and a plastic bag or glove for your hands. Step 2) Heat the gum as much as possible with the hair dryer to make it easier to move. Gum will lose its hold when you heat it up. Only use as much heat as necessary, as using too much can burn your carpet and create unpleasant black spots. Step 3) Use the plastic bag or glove on your hand to pull the gum out as best you can. Not all of it may come out, so you may need to use other methods for the remainder or just repeat the above steps. Step 1) This works in exactly the opposite way of the previous method, but the results are similar. You will want some ice, a plastic bag and a spoon or other hard item you can use to scrape with. Step 2) Then fill your bag with some ice and rub it over the gum. You are trying to make it hard and less sticky with this method. Step 3) Once the gum is freezing cold you should be able to scrape much of it away with your spoon or knife. You will want to work quickly to get it removed before it becomes sticky again. Step 4) The initial freezing and scraping may not have gotten rid of all the gum, so just keep using this method until you have it all removed. Coffee stains won’t usually come out using just regular household cleaners. You are going to have to use a different tactic if you hope to fully remove the stain from your carpet. Start by cleaning up as much of the spilt coffee as you can. You can use paper towels, a rag or some other absorbent material to deal with the bulk of it. Use something that is either disposable or won’t easily stain. Now you’re going to have to mix a solution that will handle the coffee stain on a deeper level. The blotting gets up the surface coffee, but it won’t do much for the stain itself. So you will need to mix liquid dish soap with white vinegar. Use about a tablespoon of each of these and then mix them with about two cups of warm, not hot, water. Next, you will have to pour some of the solution onto a cloth. Use that wetted cloth to sponge at the coffee stain. You only want to use a little bit at a time, and make sure that you are drying as you go. What you wet with the solution should start to come up quickly, so you will need to have a dry cloth handy as you work. Just keep at it until the stain is gone. If you are worried about the vinegar and dish soap harming your carpet, you can always use just plain water, but he results aren’t likely to be as effective. 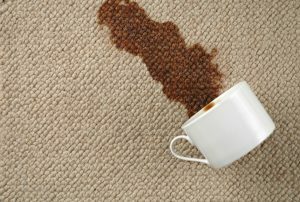 For coffee spills that include cream or milk the coffee, you will want to use laundry detergent with enzymes in it when you clean the stained carpet. Vomit not only stains carpets, but it can leave behind a smell that is tough to get rid of. With these easy solutions, you will get rid of the stain and the smell. They are also as bad as removing pet urine stains. Using items most people have in their homes already, you can be rid of the vomit and have a great-looking carpet once more. The most common way to get out vomit stains, and also the most effective, is to use corn starch. You will want to start by getting rid of as much of the vomit as possible by scraping it up. You can use a spatula, trowel or other mostly flat item. Then cover the entire stain with corn starch. You can let it set in the carpet for about 15 minutes. This gives it time to absorb the vomit. Next, use a dry cloth and a dry cleaning solution. Apply the solution and blot up what you can. You probably won’t see any remaining stain after this step, but if there is anything left, you can use a mixture of white vinegar (one tablespoon), dish soap (one tablespoon) and warm water (two cups). Apply the solution, then dry everything up with a clean cloth. Most people have hydrogen peroxide on hand to deal with cuts they want to disinfect, but it can also be a great way to get rid of tough stains. Just pour the peroxide onto the entire stain, only using enough to cover the stain. It should react with the stain by fizzing. After it has set for a few seconds, you can dry it up with a cloth. 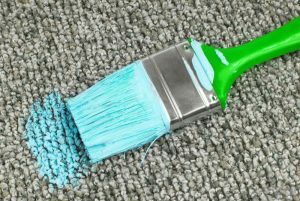 If you are worried at any of these methods will stain your carpet, you can first check out their effects by using them on a small portion of your carpet that is usually covered by furniture or out of sight. 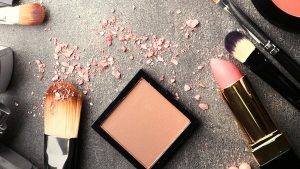 If you use makeup, then you have probably had a brief flash of worry where you wonder what you will do if you spill makeup on the carpet. When that does happen though, you want to be prepared to getit out without damaging your carpet. Here are the best ways to deal with makeup stains on your carpet. This is sort of a catch-all method for cleaning up makeup. You may not have the right cleaning solution on hand to deal with each particular type of makeup spill. If that is the case, then you can use a dry cleaning solution like Dryel or something similar. It won’t be as effective as using something geared toward handling a specific type of make up. Start by cleaning up as much of the makeup as you can with a scraping or scooping tool. Alternatively, you can dry it up with a cloth. To deal with the remainder, spray some dry cleaning solution onto a cloth. Set the cloth down on the makeup and press it into the stain for about five minutes. You can set something on top of it to hold it in place, if you like. Then blot and rinse with cold water, finishing up by drying everything with a clean cloth. Similar to chewing gum removal make-up spills requires specific stain treatment. The steps you use with each kind are basically the same, so we will start with those. Begin by scraping up as much makeup as you can, then apply your solution to a clean cloth. Don’t soak the cloth entirely, just get it damp. Blot up what you can with the cloth, then rinse the area with water. Dry that up and finish off by vacuuming the now dry area. So here is what you will use to make your solution, depending on what kind of makeup stain you are dealing with. For nail polish, use nail polish remover that is colourless. For lipstick, you can use rubbing alcohol or paint thinner. For mascara and eyeliner, you can use a mixture of one cup of water with a dash of dishwashing liquid. Finally for liquid foundation, just use hydrogen peroxide. If all else fails then consider calling in the spot and stain removal specialists.